Life is short. Sure, there’s no denying that. But sometimes we get so caught up in the fast-pace, the rush, the I-need-to-get-everything-checked-off-my-list, that we forget to slow down and enjoy our daily lives. We’re so quick to jump into relationships, back into the dating world, and into connections and commitments with others. We’re chasing love, and trying so desperately to find it, that we’re grabbing a hold of shallow relationships and surfacing empty and dissatisfied, wondering what we’re doing wrong. It takes time to heal. And it takes time to fall in love. This isn’t a quick process, where you dip your toes into the water and expect to find something meaningful right away. Love isn’t shallow. It’s feeling out the water, but then jumping completely in. It’s getting deep. It’s knowing how to swim, how to save yourself, but still trusting that another person will keep you from drowning. But real love takes time. Finding ‘the one’ takes time. 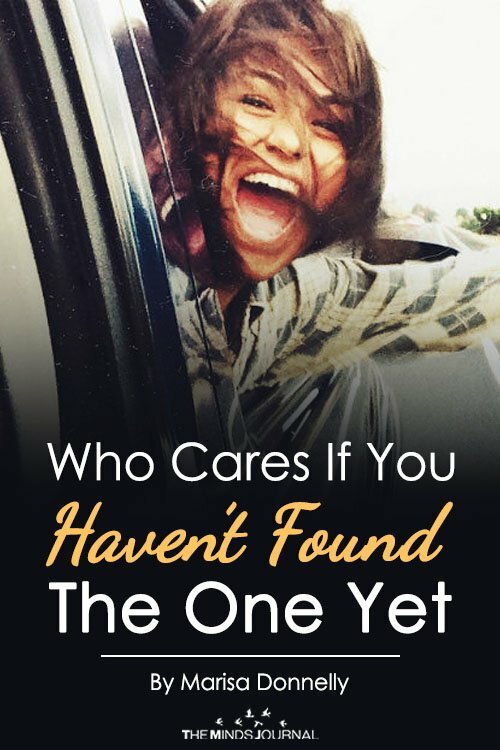 And it’s okay if you haven’t found ‘the one’ yet. We get so caught up in this idea of true love, that we’re supposed to find it by this certain time, that it’s supposed to look a certain way, that we’ll know, beyond a doubt, what we’re doing and how things will pan out. But love isn’t like that. You don’t just stumble across the right person. You don’t have this perfect relationship where the two of you always get along. Real love is messy. And frustrating. And sure, there will be times when you know, one-hundred and ten percent, that you’re destined to be with this guy or gal forever. But you won’t always want to be. You’ll have days where you just want to punch them in the face. And that’s okay, because that’s real love. But it’s completely, totally fine if you haven’t found that yet. It’s okay if you feel alone, if you put all your love into your last relationship and feel broken, if you aren’t sure where you’re going, if you’re terrified of love, if your nervous you’ll never find the one—whatever stage you’re in, wherever you are, stop worrying about finding love. You will find it. You just need to let go and trust the process. There are no rules for this thing. No how-to manual. No guide. There’s no cutoff for finding the man or woman you’re supposed to marry, no deadline, no expectation. And if there is, that’s world-imposed and not reality. Love can come at any time, any age. It doesn’t matter who’s engaged, who just had their third baby, who’s getting married and posting their gorgeous photos on Facebook. Know that you are you, and you will find love when you are meant to find it. Instead of focusing all your energy on finding love, find yourself first. Follow your passions. Work hard at your job. Be supportive of your family and friends. Travel. Move. Visit a long distance cousin. Do something strange and exciting. Let go of past baggage. And most of all quit worrying. Because this silly, wonderful thing called ‘love’—yeah, it’ll happen. It’ll happen when it’s meant to, when it’s the right time, when you’ve quit obsessing over it and you just let it be. Trust in that. 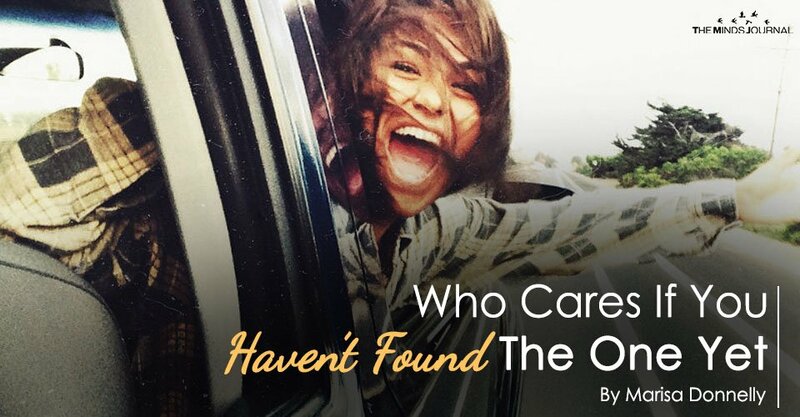 Who cares if you ever find The One, since you’re enough the way you are!